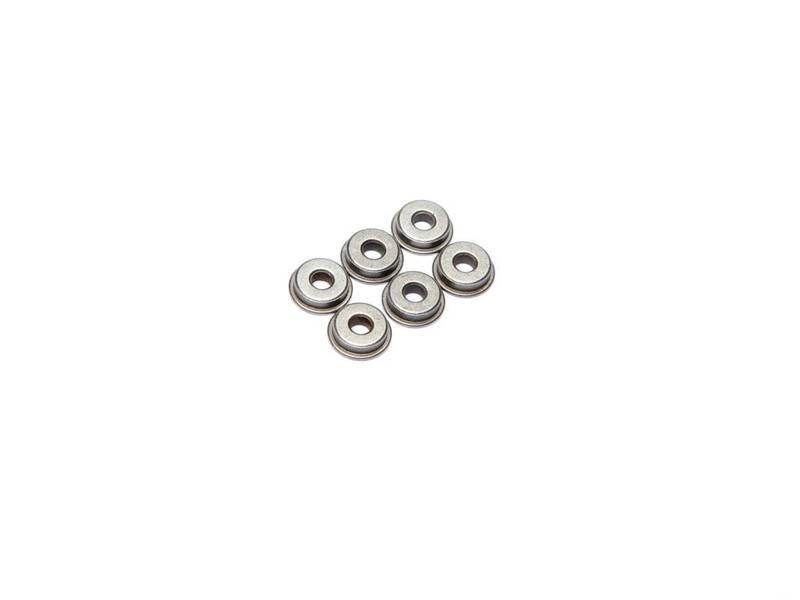 Ultimate 8mm Metal Bushings Graphite. 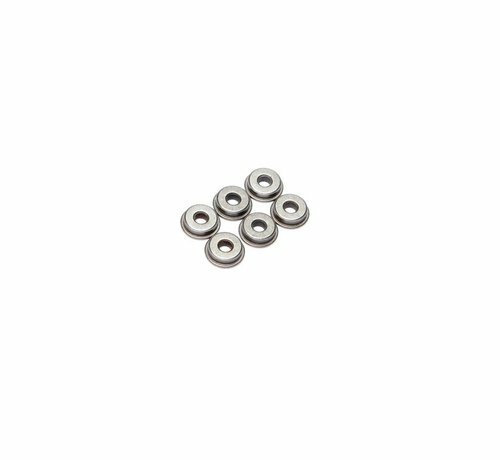 Our new 8 mm steel bushing with graphite is the ultimate in durability when it comes to AEG bearings. 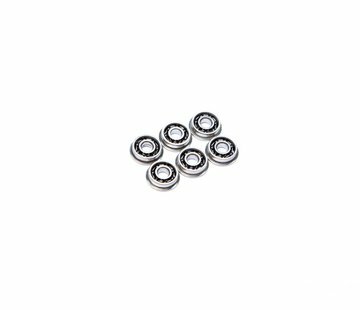 You do not get the extreme low frictions as with the ball bearings, but instead eliminate the risk of bearing break downs. Our steel bushings are made out of porous sintered steel combined with graphite. This type of porous metal can absorb the oil/grease and greatly reduce the need for maintenance and lubrication. 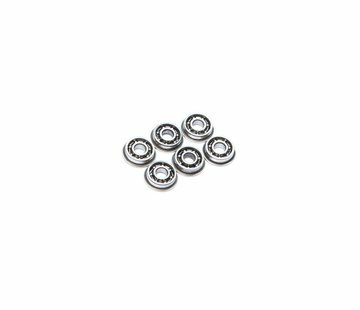 Unlike stainless steel or other solid metal bearings, the risk of surface grinding or burning on the gear axles has also been greatly reduced, thus minimizing damage to the expensive gears compared to the bushings. The dimensions has been optimized in order to easily fit into almost any 8mm gearbox without being too loose or damaging the holes when installing. 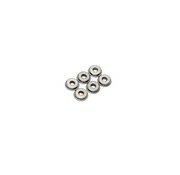 So if your main priority is durability, strength and easy maintenance this is the bearing you want in your AEG.